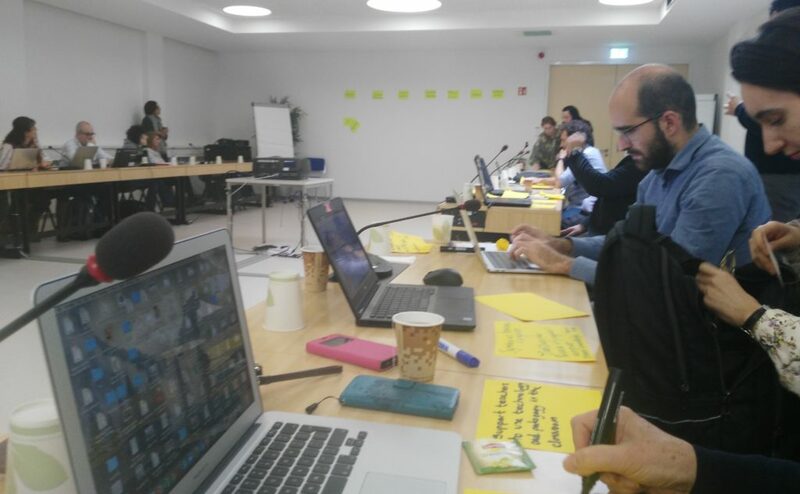 The EPICA project was presented at the Stakeholder Meeting on Digital Education that convened 10-11 December 2018 in Luxembourg. The event was organized by the European Commission, with the aim to gather information on the ongoing projects on digital education, focusing in particular on the lessons learned and the future vision from the project perspective. The session was chaired by Rehana Schwinninger-Ladak, Head of Unit, Unit G.2, DG CNECT, Interactive Technologies, Digital for Culture and Education. Among the participants were Anne Bajart, Deputy Head of Unit and Project Officers Alina Senn, Stefanie Hille, and Marcel Watelet. EPICA was presented by Federica Mancini from the Open University of Catalonia (UOC), who explained the project’s successful achievements, challenges, success stories, and promising areas/elements that could be scaled up and deployed after the funding period. gaming and gamification (GamECAR, SOCIALENERGY). Some of the participants in the event expressed their interest in the EPICA project and in being informed of its future progress and results. Their expression of interest may also lead to the creation of fruitful synergies and future collaboration with participants of other projects. The second day, the attendees were involved in a workshop aimed at collecting ideas for the future EU funding programmes. After a round of short pitches, the ideas presented were clustered into topics based on similarities and ranked by the participants. Small working groups were organised to collect reflections on the selected ideas/topics and to produce a flip chart containing a swot analysis. Stefanie Hille discussed the role of the European Union in supporting Member States and educational institutions in the modernisation of their education systems.